Functions like Weddings and Engagements are very special and you would want them to be captured by a professional who can not only document your day but also do it in style. As with most business, "you get what you pay for", but paying more money does not guarantee you the best and suitable photographer either. There needs to be a right balance. The question for couples getting married always remains which photographer to go with without breaking the budget. a. Research - Ask around - family, friends, work collegues, chances are someone you know would know a photographer who was hired either by themselves or someone they know. 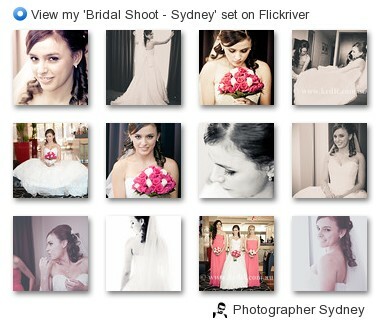 b. Google it - Search online for photographers who specialise in Weddings and who live around your suburb. This way you may save on their travel fee and they might give you a "local's" discount (don't be afraid to ask - if you don't ask, you never get). c. Quote - Once you have short listed a few photographers, ask them for a quote. Make sure they understand your requirements and include all of them within the quote. Inform them of the place, date, time and duration of wedding. Also inform them how many guests are expected and what kind of photography you expect (posed or candid). In terms of your production requirements, make sure the photographers know if you want prints or albums. It is very important to know if you will get your photos on a DVD in full resolutin. This is particularly important so you don't pay photographer everytime you want a photo printed. I would suggest that you get a separate quote for some sort of album and if budget allows, get one. Photos on a DVD are good but it can get a little in-convenient to put discs into the player everytime you want to see or show your wedding photographs. But if you have a printed album, you can display it as a coffee-table book and view it with family and friends regularly. Please remember that getting photos printed from SnapFish or Harvey Norman is convenient and cheap but they do not give you the same colour range as the ones printed by a professional photo printer (they usually cost between $ 1.25 to $2.00 per photo for a 4X6"). d. Scrutanise - Once you short-list a couple or three photographers who have quoted within your budget and are happy to accommodate your requirements, ask to see their portfolio. It is important that you view atleast one of the wedding albums with ALL the pictures and not only the "best". This is important as it will show if the photographer is consistent with his/her work and doesn't produce only a few good photographs. e. Consult - After you have decided on your photographer, ask to arrange for a meeting with the photographer. Sit down along with your partner and the photographer and go through the itinerary of your wedding day. Inform the photographer of what photographs are important for your. Inform him/her of your family dynamics (divorced aunt/uncle, grandma whom you adore, etc). If you have some special posed photographs in mind, copy them on your phone/laptop and show it to your photographer. I hope this gives you an idea what to look for your photographer for your special day. Please make sure to do your "run-around" to ensure that your special and Unforgettable Moments are captured forever.